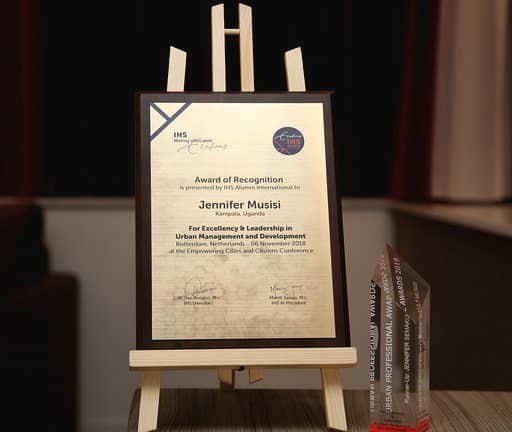 KAMPALA– The outgoing Kampala Capital City Authority (KCCA) Executive Director Jennifer Ssemakula Musisi has won another global award towards changing Kampala City. 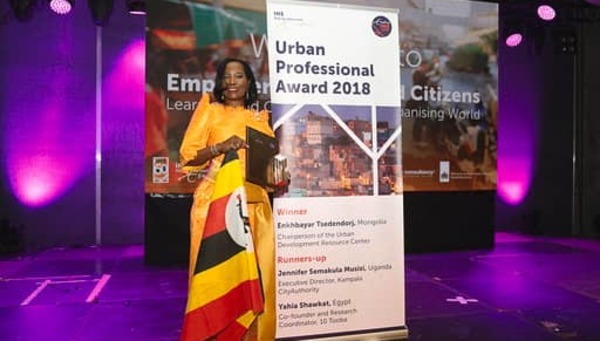 Musisi was on Wednesday, November 5, awarded with the Urban Professional Award, during the urban professionals for the “Empowering Cities and Citizens” Conference in capital Rotterdam, Netherlands. Musisi, who recently resigned her position as the KCCA ED, was recognized for her Excellency and Leadership in Urban management and development. 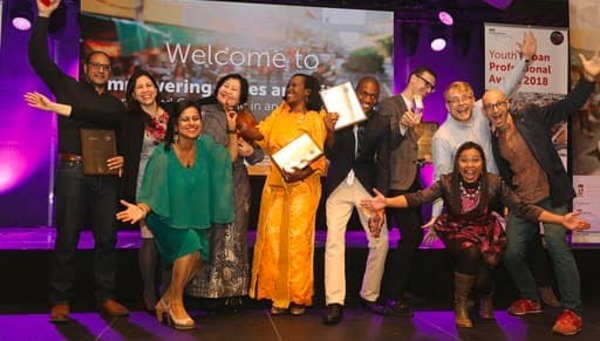 Musisi was a runner-up in a race of three, which was won by Enkhbayar Tsedendorj, the Chairperson of the Urban Development Resource Center (NGO) from Mongolia. The other person in the category was Yahia Shawkat from Egypt who was also crowned a runner up. Ms Musisi was in September 2018, awarded the honour of “Africa Agent of Change” at The Women Development Centre, Abuja – Nigeria for demonstrating exemplary selfless services and projecting good leadership qualities on the continent and beyond. Ms Musisi, appointed as KCCA Executive Director seven years ago had worked tirelessly to see the City changing, improving and beginning to climb out of its challenging history. Service delivery and confidence in the city administration have been strengthened with major infrastructure projects and social services restored with some distinctive work ethic amid political challenges as Kampala’s elected political leadership, heavily opposition-leaning, continues to pull ropes with the central government leadership. She, however, on Monday, October 15, tendered in her notice of resignation, citing the irreconcilable differences between the technical and political team as reason for her resignation that takes effect December 15, 2018. It’s an honour to pick this accolade – The Urban Professional Award 2018 presented by IHS Alumni International in Rotterdam, Netherlands.